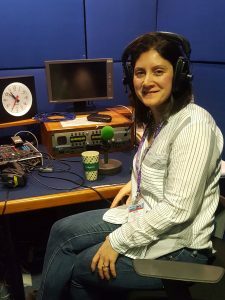 Shereen Fisher, our CEO, featured in a panel discussion on BBC Woman’s Hour this week, on infant feeding experiences and how they made women feel. Shereen was joined by GP Dr Ellie Cannon and maternity matron Gill Diskin. The discussion covered all aspects of infant feeding, and addressed some of the challenges faced by new mums, as well as the health care professionals and organisations who aim to support them. Here’s what Shereen had to say about the experience. I was thrilled to be invited to be part of the panel for BBC Radio 4’s Woman’s Hour this week, representing BfN. The opportunity was unique and the feature would be part of a 3 day-long focus on infant feeding – no flash in the pan for women’s stories about breastfeeding this time, but 3-plus hours of national radio air time devoted to getting the triumphs and heartache across – and for me – the injustice of women who don’t get the support they so deserve. Invitation accepted then the worry began, as the facts of the show and angle the producers were aiming for were slow to emerge, along with details of the other panel members. I liken the experience of preparation to that of ‘getting a genie into a bottle’ – I am not a doctor or Public Health specialist, so a fair amount of reading and revising ensued (taking me back to my Law degree finals, when I promised myself that I’d never put myself through it again), as did heartfelt conversations with some sound, strong and sensible minds – you know who you are. The challenge was, when the cork was taken off the bottle, to make sure that at least five clear messages were unleashed and not just a mist of vapour … The preparation, guidance from others and commitment I have held to this issue for over six years came good in the end and I was calm and relaxed in the studio (broom cupboard! ), waiting to hear Jenni Murray say my name and invite me to speak. Predictably the slant has been somewhat focused on the problems and the negatives of breastfeeding, but the presence that BfN was afforded has given me hope that all voices are valid and with a concerted effort we will be able to improve support for all women to pursue their choices and reach their own individual goals. That, I am certain, will be the secret to happy mums and babies.